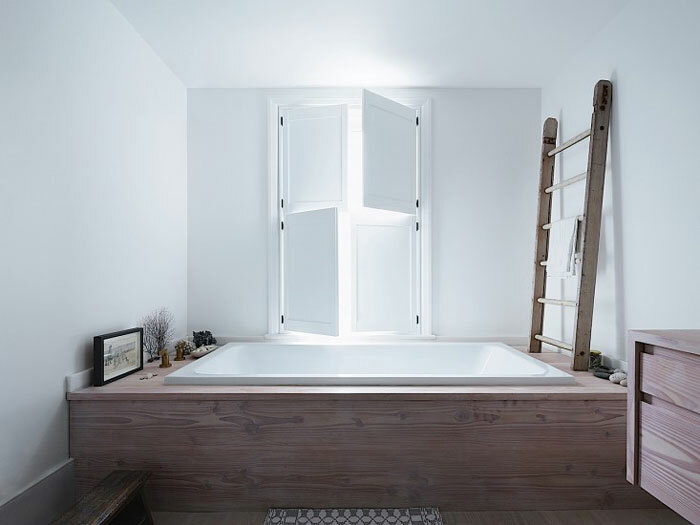 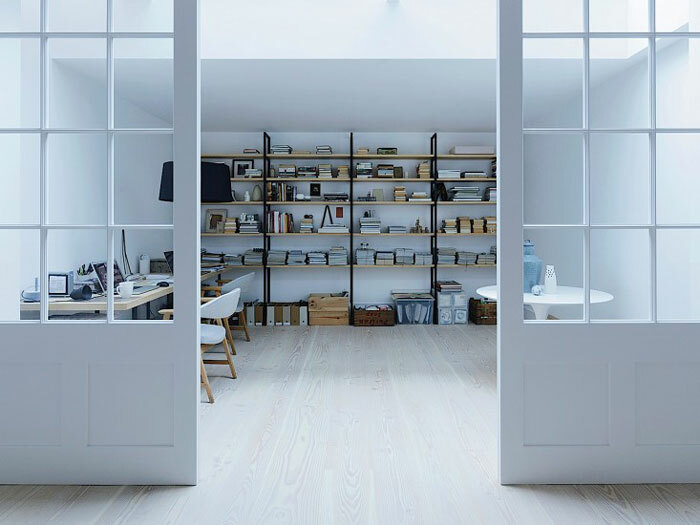 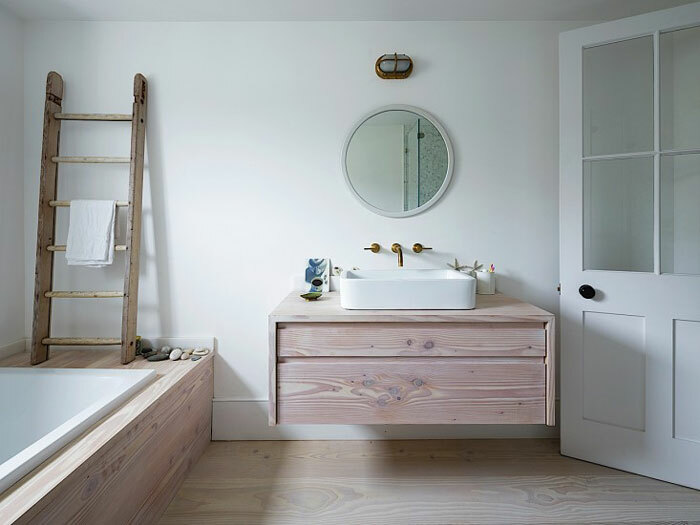 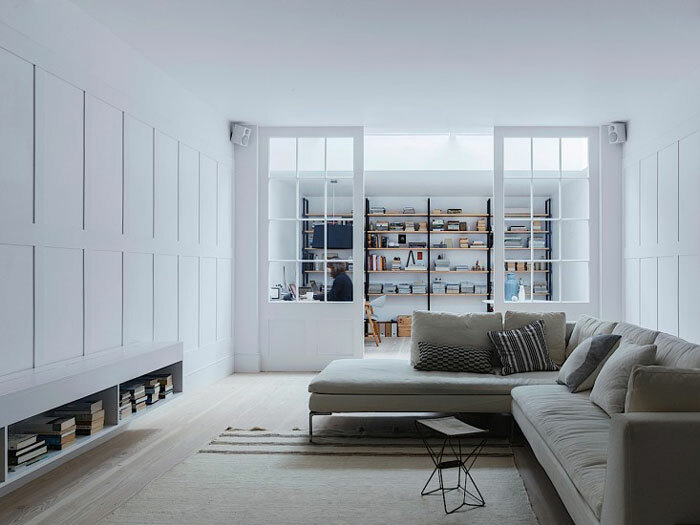 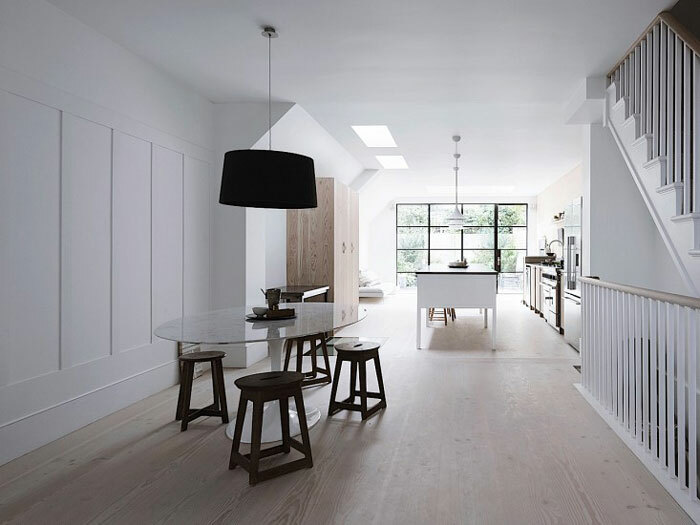 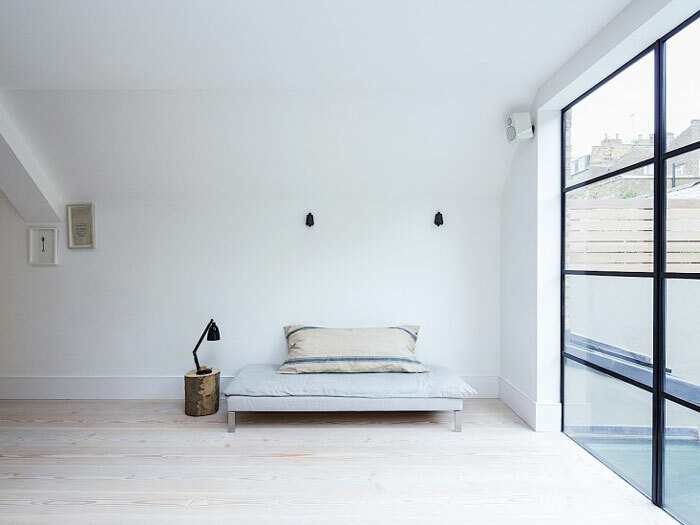 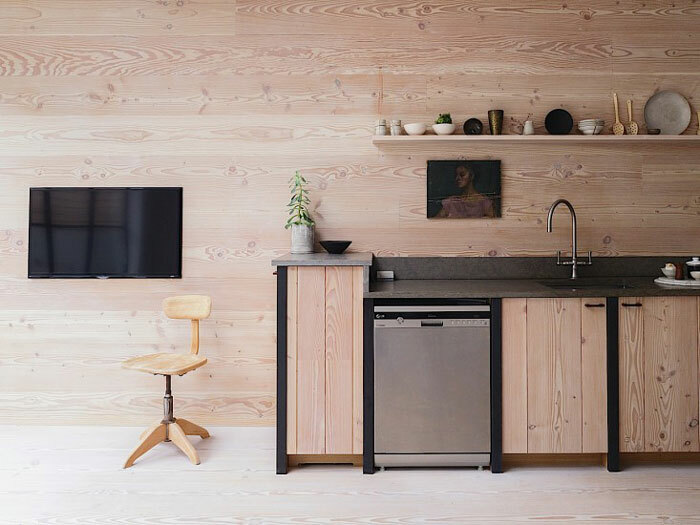 This interior first caught my eye for its stunning oak floors by Danish company Dinesen. 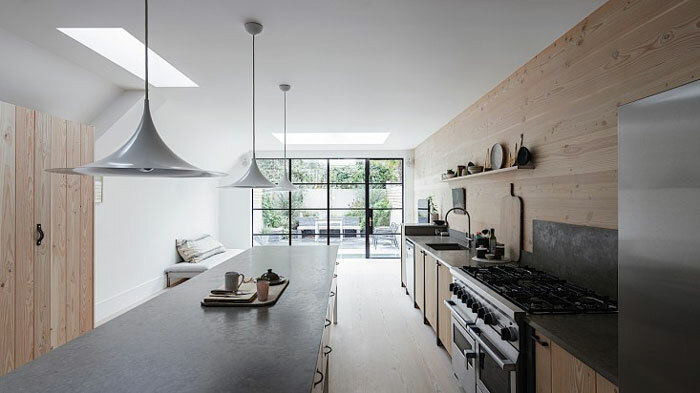 Then I noticed the gorgeous kitchen, followed by the luminosity of the place and its white walls, skylights and large steel-and-glass doors. 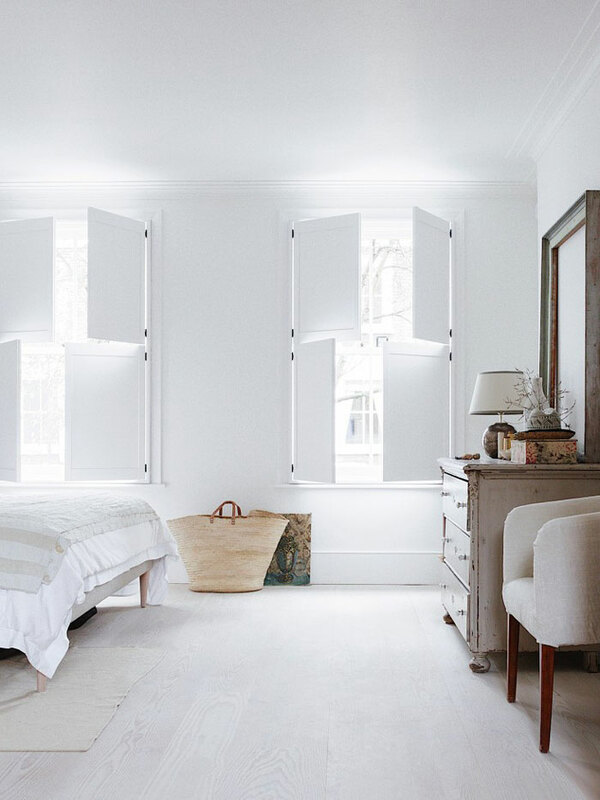 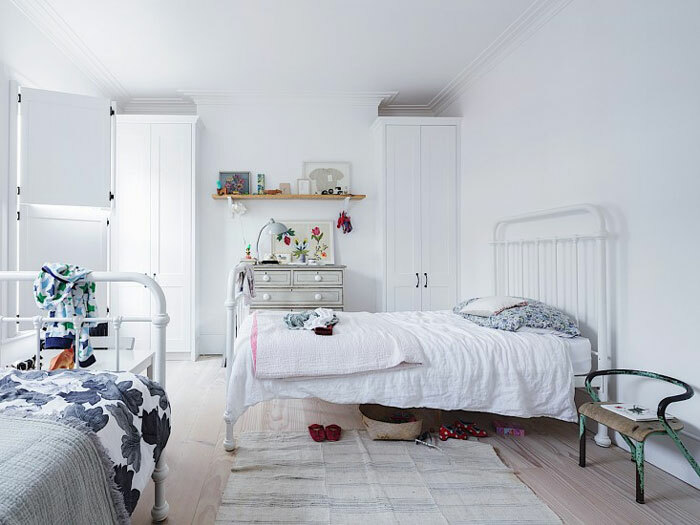 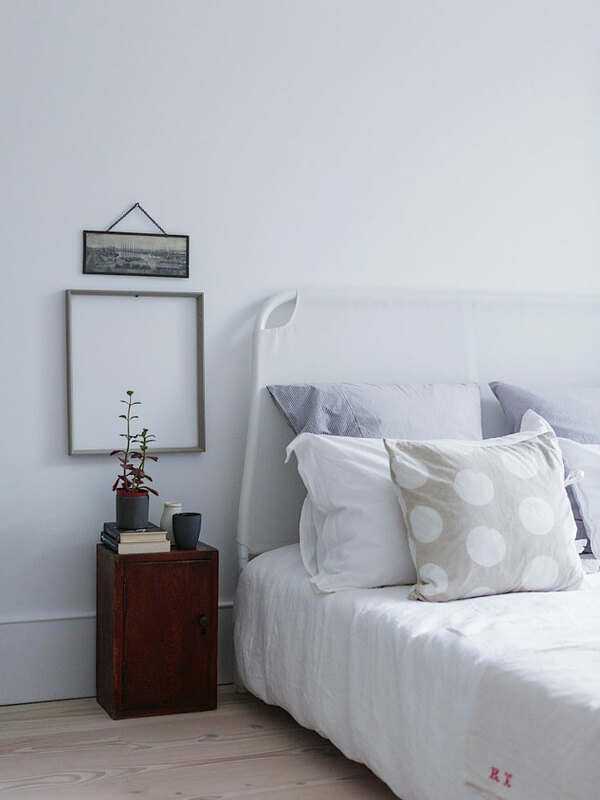 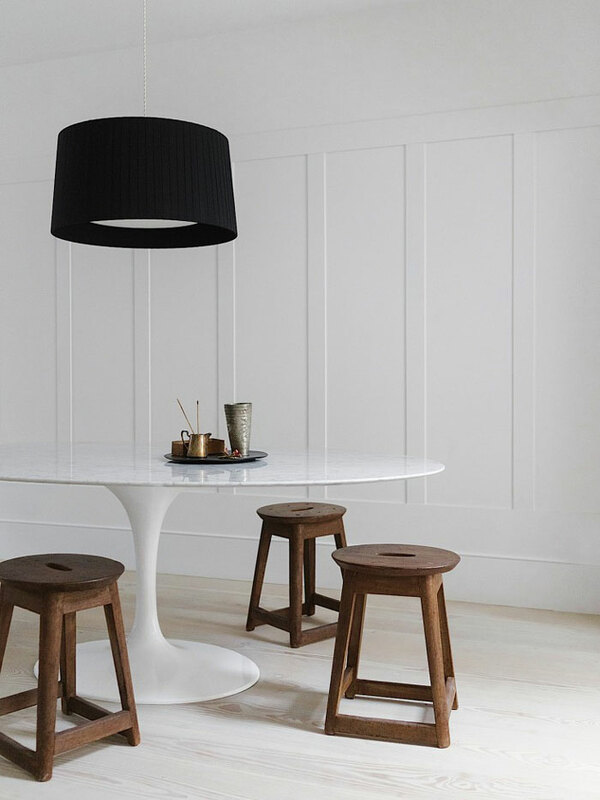 A family of four lives in this elegant, uncluttered and serene home. 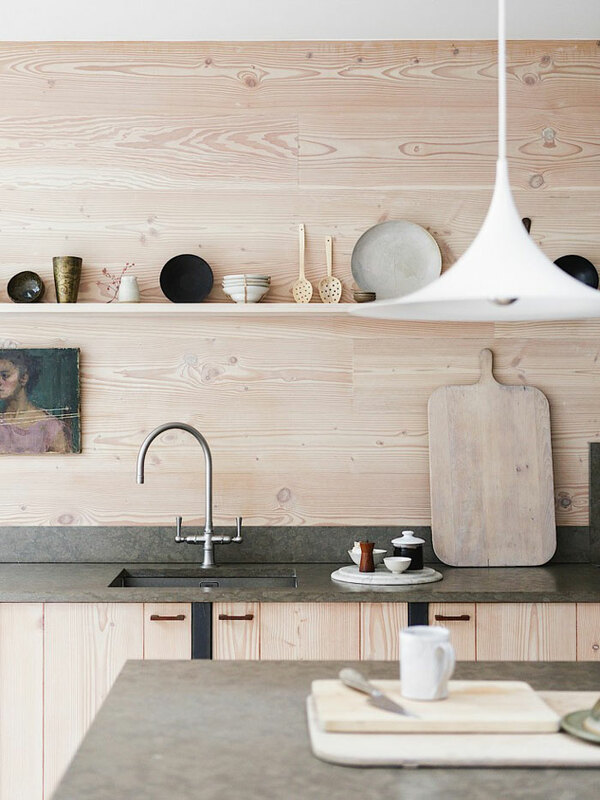 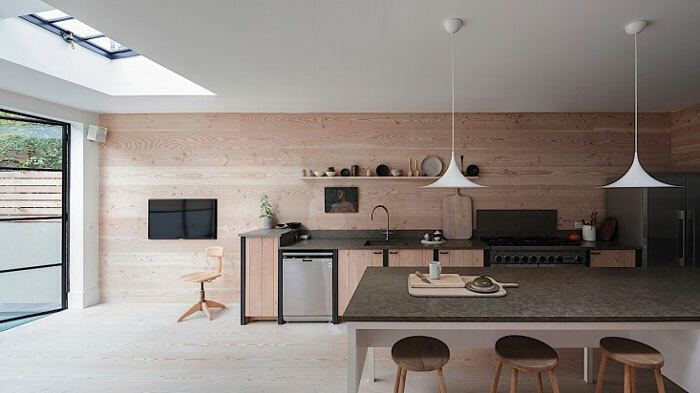 You can notice their taste for Nordic aesthetic, with the muted color scheme and timeless design such as Eero Saarinen’s Tulip table and Gubi pendant lamps.